Load up your friends and get set for adventure with our unstoppable 2016 Jeep Wrangler Unlimited Sport 4x4 in Billet Silver Metallic Clear Coat! 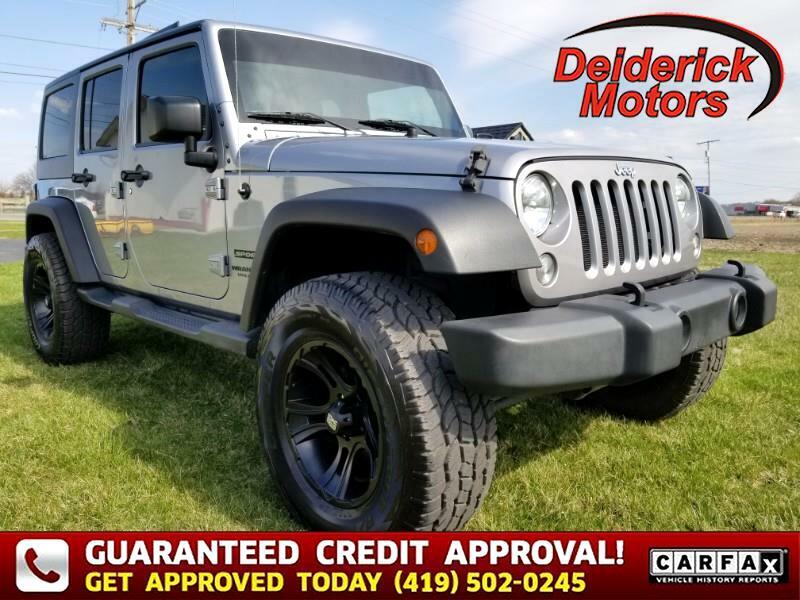 Powered with a 3.6 Liter Pentastar 6 Cylinder that offers 285hp while connected to a tough 6 Speed Manual gearbox for amazing traction on or off road. This Four Wheel Drive supplied near 21mpg plus gobs of torque for outstanding low-speed crawling capability. Enthusiasts and critics agree this is a capable ride that you most certainly need to experience if you are a fun-seeker! Trail-rated tough, our SUV offers legendary traction, ground clearance, and maneuverability.